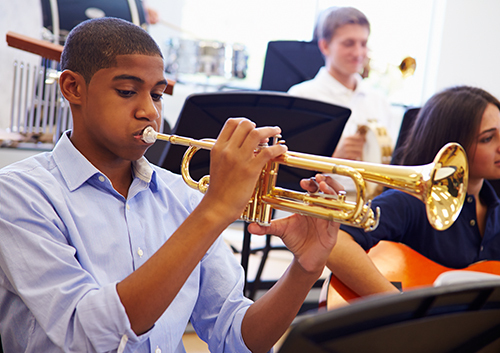 Let Dr. Kaswiner and Dr. Handsman know if you play, or plan to play, a wind instrument. We might be able to offer some suggestions. For regular metal and ceramic braces, some musicians find extra wax is helpful in preventing lip and cheek injuries. There are brace guards available that can be applied over the braces to protect your lips and mouth if wax doesn’t do the trick. Above all, take care of yourself! If something is poking your lip or cheek, call our Springfield, NJ office immediately before it causes injury. It might be difficult at first, but finding an embouchure that works for your comfort and technique is worth it. And remember, these temporary fine-tunings will lead to a wonderful coda: skilled musicianship and a beautiful, healthy smile. Bravo!